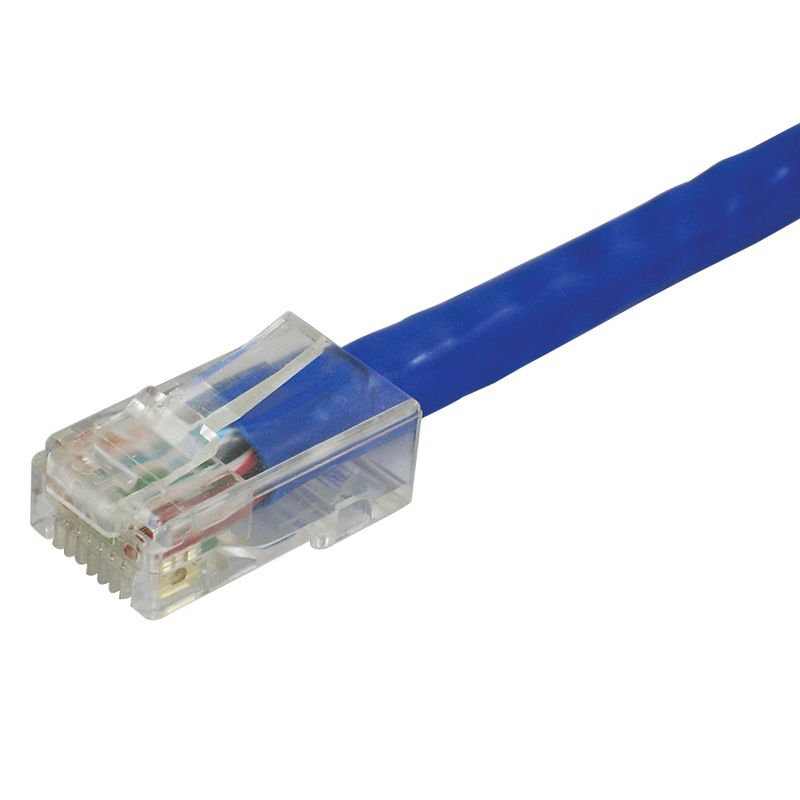 Lynn Electronics 24/4P Non-booted UTP Cat 5e patch cable has RJ45 long body plug terminal connection. This cable has blue PVC jacket to withstand harsh environmental conditions. The high-density foam polyethylene insulation resists electrical leakage and offers protection against environmental threats. Bare copper cord has Beldfoil® 100% aluminum foil-polyester tape shielding that reduces EMI/RFI interference/crosstalk. This 10-ft cable has outside diameter of 5.3 mm. It withstands temperature rating of 80 deg C. This cable is suitable for Gigabit Ethernet 1000 Base-T applications. Cable is UL listed, RoHS compliant and meets EIA/TIA 568B, ANSI/TIA-568-B.2., ASTM D 4566-98, ISO/IEC 11801 standards.